Is Klyr-Fire holding agent the same as W.G Ball Cellular Adhesive? Is Klyr-Fire holding agent the same as W.G Ball Cellular Adhesive? Yes they are essentially the same thing. Klyr Fire is sold as a liquid where as our Cellular adhesive is sold as a powder. If you mix one teaspoon of Cellular Adhesive with a pint of water you have a solution similar to Klyr Fire. 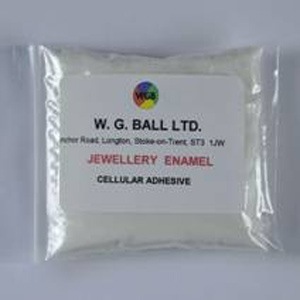 Why does the enamel crack when cool?